A round-up of all improvements and changes to the Buzz platform in version 2.0.96, available on March 30, 2017. Changed interval at which content activity is recorded for performance purposes. Added the ability to provide Accommodations content when creating a new user in Admin UI. Added alt text to activity type icons for improved accessibility. [IE11, Edge] Fixed an issue that would cause scrollbars in the Final Grades screen to blink when sorting by the Accommodations column. Fixed an issue that caused some content to be lost when pulling gradable items from the Digital Library using the Clipboard. Fixed an issue that would cancel current edits to objectives when importing them to a Multi-Outcome Scoring course. 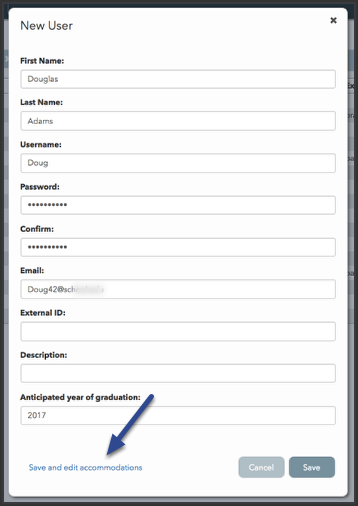 Fixed an issue that would cause the student list in the Performance > Gradebook screen to disappear after making changes to the screen's footer until refresh. Updated the Status column in the Performance > For Me screen, so that clicking an entry in the column opens the Grade Editor. Fixed an issue that would cause analytics reports from the teacher Performance > Activity Grader to export as .csv files even when the user selected .txt. Updates in version 2017.3.30.2378. Learn more. GetUserActivityStream: A new attribute, types, to filter the type of entries returned in the request. CopyItems: Items newly copied will begin to have a sourceid and sourceitemid if the course was copied from one course to another. This allows an item to be traced to where it came from. GetDomainSetttings: The response now includes domainid.